During the 80's, this sometimes sweet, sometimes sour fruit that Tutubi finds on the slopes of the Sierra Madre mountain, growing wild between lanzones and santol trees in Paete, became a slang word for political turncoats i.e. politicians jumping from one party to another as if plainly changing clothes, usually transferring to the ruling administration party. Why balimbing? It's simply because the balimbing has many sides, in reference to traditional politicians' many faces, showing compassion to the poor on the outside yet evil and contempt in the inside. 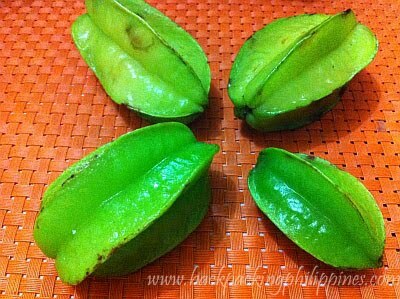 Balimbing, Starfruit in English, is star-shaped and a bit sour and sweet. made lives of the people better, instead of making life worse. i feel sorry for the poor fruit that is used as a reference to those clowns in office. a good education for everyone is the best way to eradicate them once and for all. funny, i have seen these on trees before but never knew that they were fruit!